Remember the last time you tried to talk about grief and suddenly everyone left the room? 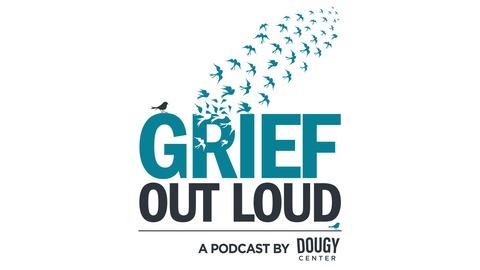 Grief Out Loud is opening up this often avoided conversation because grief is hard enough without having to go through it alone. We bring you a mix of personal stories, tips for supporting children, teens, and yourself, and interviews with bereavement professionals. Platitude and cliché-free, we promise! 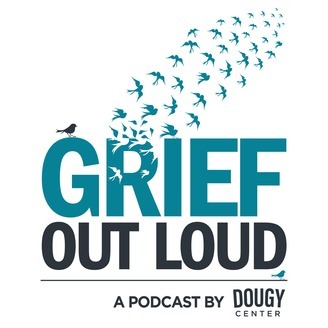 Grief Out Loud is hosted by Jana DeCristofaro and produced by The Dougy Center for Grieving Children & Families in Portland, Oregon. www.dougy.org. There’s nothing like grief to take us completely out of the moment. We get pulled into the past where we try to remember everything we can while also ruminating over what we wish we had said or done differently. At the same time, we leap to the future, anticipating what events will be like without the person we are grieving. Dr. Jessica Thomas, PhD, LMFT, who focused her dissertation research on using mindful photography with anticipatory grief, now helps people in grief explore this process of creating images as a way to ground themselves in the actual moment. Dr. Thomas is the president of the board of the NW Association for Death Education and Bereavement Support. She is also a professor at Lewis & Clark College and has a private psychotherapy practice supporting clients in grief, life transitions, and other challenges.